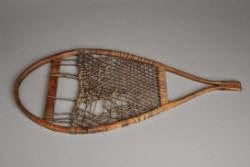 Cordwaining or shoe making in eighteenth-century rural New England was an intriguing episode, frequently an entrepreneurial activity, and almost always one which involved diversification to make a suitable living. Where were shoes were made? Who made them and for whom? How were they sold? The shoe making family of the Lanes in Stratham & Hampton, New Hampshire are the most probably the best documented in the 18th century. 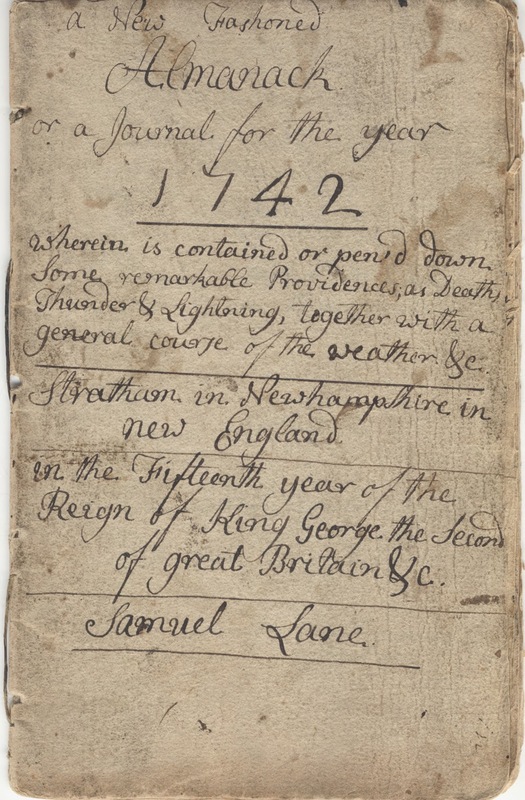 Samuel Lane (1716-1806) kept an “almanack” over a 60 year period. His almanack or day book follows his life from his time as an apprentice to his father through old age. Contemporary accounts reveal that Lane-made shoes were a popular purchase in Portsmouth on Market Days. However, his success lay not only in the successful shoe trade, but also relied on his training as a surveyor, his ability to accumulate land for pasturing animals and growing grains. The success of the family was an effort which involved every member. Winters were incredibly long – continuing what is known as “the little ice age”. 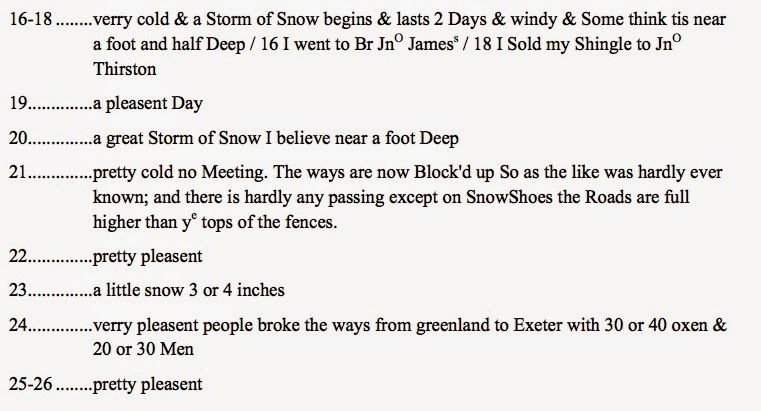 A few extracts from Lane’s diary make for interesting reading on these snowy days, especially as I sit in my studio only a few miles distant from the Lane homestead. The sense of being snow bound is palpable in his writing: Lane and his family and friends frequently spent weeks unable to get much further than the mill pond on his property or waiting for men driving oxen to open the road between Greenland and Portsmouth. Snow shoes were essential.